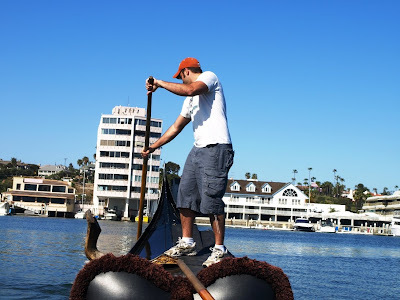 I spent some time out on the water today in Newport training Matt Schenk to row Venetian style. It was a beautiful day, a bit windy, but clear and sunny. Here's Matt learning dar-zo, also referred to as the "prybar stroke" by some. 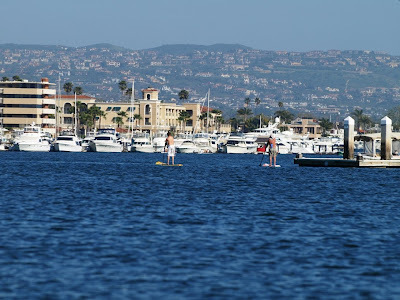 We saw some more SUP surfers pretending to be gondoliers. 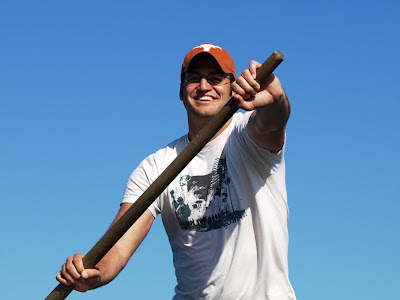 Matt was a natural, figuring out the right amount of one stroke or another to direct the gondola in almost any desired direction. Hey Greg! love your blog. i read it most every day!